Crabbing in the Bering Sea, a Russian high tea experience, even a helicopter glacier adventure – with more ports to explore and more time to do so, our Alaska voyages invite you to discover a distinctly different Alaska. 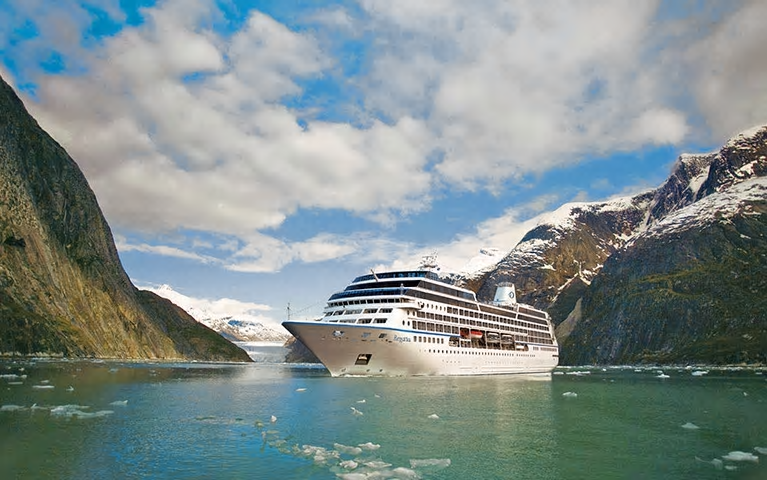 Our 2019 and 2020 voyages feature a rich bounty of must-see destinations blended with a bevy of off-the-beaten-path ports that larger ships cannot access such as Haines, Kodiak, Prince Rupert, Wrangell, and Nanaimo. In this unique land of lore, nature and adventure, you’ll have the chance to see and do all that you desire with our longer stays – Regatta arrives in the early morning and almost always departs 6 pm or later. Here are a few of our favorite unique experiences in the Last Frontier. Majestic and impressive Mendenhall Glacier, just outside Alaska’s capital city of Juneau, is a slow-moving river of ice that has enchanted naturalists such as John Muir since the late 19th century. Board a modern five- to six-passenger turbine helicopter and lift off for adventure, flying high above rugged terrain as you quickly approach the glacier. Soar over indigo blue crevasses, fanciful ice spires, intriguing icefalls, and jagged rock sentinels such as Mendenhall Towers. Upon landing, walk the surface of the glacier with boots specially designed for comfort and traction. Hike to nearby fascinating features, accompanied by a guide who will provide enlightening information on glacial formation and the impact of glaciers on the landscape. Where else but Alaska ca n you hike a glacier from your helicopter? From Ketchikan, embark on the Aleutian Ballad, one of the legendary crab boats featured on the Discovery Channel series Deadliest Catch. Unlike the tribulations of the show, you’ll sail only in calm, protected coastal waters, taking in the stunning scenery of southeastern Alaska, tiny islands dotting the straits, mountains soaring from sea to clouds and the light dancing across the primeval waters. In a comfortable and heated on-deck amphitheater, hear stories of the men who have plied these seas and given their lives. Below, the crew haul up crab pots and long lines from deep beneath the waves, bringing to light not just crab but shark, octopus, prawns, and rock fish. The bounty is carefully placed into an on-deck aquarium, so you can view and interact with these creatures of the deep before they are returned, unharmed, to their natural habitat. Alaska seems to be a thoroughly American destination today, yet it was part of Russia before its purchase in 1867, and though Sitka was the former Russian capital, the Russian influence extends throughout the state in both architecture and traditions. In Kodiak, the Russian legacy lives on at the Kodiak Inn, where traditional Russian tea, a variation on the English classic, is a beloved staple. Rather than scones and finger sandwiches, enjoy borscht, Russian teacakes and pirozhkis while entertained by the Balalaika Players, a local band performing traditional music from the mother country. While the tour includes visits to Cannery Row, the heart of Kodiak’s fishing economy, as well as a Russian Orthodox Church and local art gallery, Russian tea time is the undisputed highlight. Push off from the beach along Icy Strait Point in a two-person kayak and paddle the protected waters around Port Fredrick. Float along in bays and coves so unspoiled that you’ll feel as if you’re the first to ever explore the region. From a kayak in Alaska, the air is purer, the shoreline greener, the sea more soothing and the profusion of wildlife more thrilling. Discover the secret to finding the humpback whales that feed along the same route you’ll be traversing. Search for a whale’s fluke as it begins its dive or catch one in the act of spy-hopping, which is when a whale pokes just its head out of the water to look around. The nutrient-rich waters of Icy Strait are also home to orcas, sea lions, porpoises, sea otters, and seals. During your excursion, you’ll also paddle to an even more serene area frequented by bald eagles. There are few sights more visually arresting than following the flight of one of these majestic creatures as it rides the wind until swooping down to catch a fish with its talons. While Wrangell provides a slice of traditional Alaskan life, a jetboat ride through the surrounding 500,000-acre Stikine-LeConte Wilderness is a distinctly contemporary escapade deep into an area revered by famed American naturalist John Muir. The Stikine River is the fastest flowing navigable river in the United States and your customized, purpose-built jetboat, thoughtfully heated and covered, is the perfect vehicle for exploration. Look for passing moose, bear or deer as you enjoy spectacular views of distant mountain peaks, spy on spawning salmon and listen to thundering waterfalls. Follow the river to Shakes Lake, a narrow strip of water cradled by soaring granite crests featuring diamond-bright icebergs dotting its sparkling topaz waters. 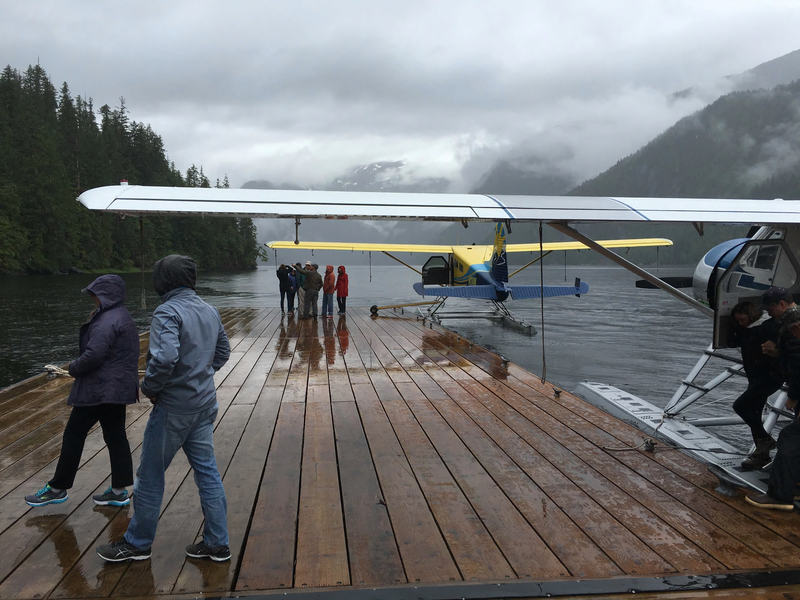 Come ashore at a specially selected wilderness location and absorb the true grandeur of your surroundings before reboarding your jetboat for a jubilant wine and cheese interlude and an exhilarating return to Wrangell. Contact your travel advisor to start planning your unique Alaska experience now!